You're never fully dressed without a smile...and a clear umbrella. 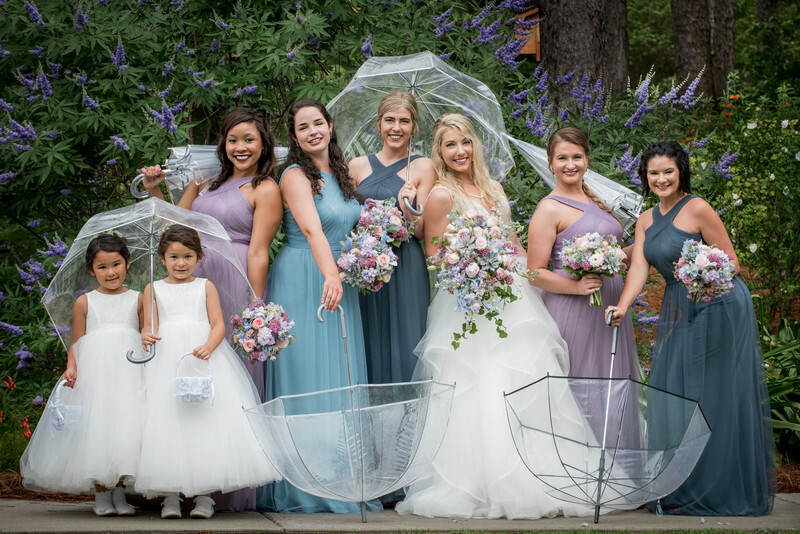 At least that should be the bridesmaid dress code for rainy weddings in the south. Thankfully the rain stopped just long enough for us to grab a few shots with some of Mobile Botanical Garden's pretty flowers in the background. Also, check out how this bride hinted at Pantone's 2018 color of the year Ultra Violet.